First up, let's jump right into making sure you know what they are. Backlinks are simply links from other websites to your own website, and there are lots of straightforward ways to get free backlinks. While you should never buy backlinks, you will need to earn them. I say “earn” because there is some effort involved, but the rewards are plentiful! There are hundreds of algorithm elements which affect your ranking and how people search continues to evolve, but one factor that doesn’t change is: the presence of web links. For Google, Bing and other search engines, backlinks are one of the more important ranking factors. 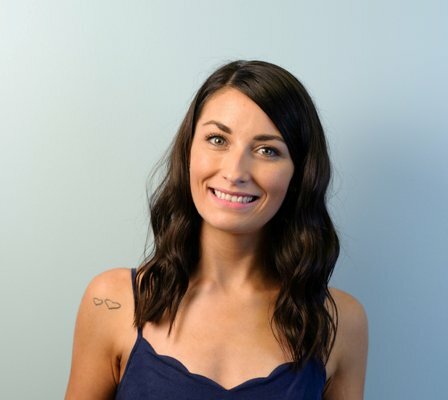 They crawl the web 24/7 to understand how pages are connected, through web links on your website and beyond. They also determine the quality of those links. Inbound links, where you link to other pages on your website, and outbound links, where you link to other people’s content, are both important SEO strategies; but earning backlinks tells Google YOU have authority – that your content is relevant and interesting enough for other sites to link to. Backlinks help you develop relationships, as well as growing your authority and traffic. 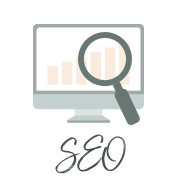 Quality backlinks nurture relationships + improve your rankings, meaning more traffic and more ideal clients. The word “backlinks” might sound dodgy, like a back-alley transaction at midnight! But there are several legitimate ways you can have other people, including influencers, linking to your blog. Think of it as link-building. Whether you’re a service provider, product creator, local business or completely online, below you’ll find an array of opportunities to have backlinks to your website. Not all links are treated equally, but they all hold value and are important in the overall scheme of your digital strategy. Most links are dofollow ones, which means the search engine bots are allowed to follow them. The result is, you get “link juice” from the referring website, which improves your search engine ranking. However, some social platforms, directories and blog comments default to nofollow links, which may make you think, “Why bother with those strategies?”. I’ll share more below, but nofollow links do hold value, and you should have both in your "backlink profile". This is one of the simplest methods, and it comes with a great bonus. Typically, most comment forms have a field where you can add your web address. When your comment is posted, your name then links to website. That’s where you earn your backlink. But with great power comes great responsibility! That means don’t write something spammy in the “Name” field on the comments form, like a keywords-rich “best pilates teacher” title. Use your actual name -see the example below. And don’t use blog comments as your primary link-building method - as you’ll see below, we have plenty of safe ways to build relevant links. Occasionally you’ll find some bloggers use a plugin, like CommentLuv (WordPress), which includes an additional link to your latest post at the end of your comment – pretty cool! The bonus of commenting is it’ll help you network and build relationships, which is vital for the backlink strategy I’m going to talk about at the end of this post. Nurturing relationships helps grow the authority of your brand, but only if your comments are authentic – don’t randomly choose blogs and post one-word comments just to boost the number of backlinks. Remember, Google assesses the quality of each link. Build relationships (& backlinks) with meaningful, authentic blog comments. Where else can you find posts where you can add to the conversation? Competitors – I choose “community over competition” any day. Communities – I love The Rising Tide Society, One Woman Shop and the Female Entrepreneur Association to name a few! You can also find the blogs of people who are interviewed or guest posting on community websites. 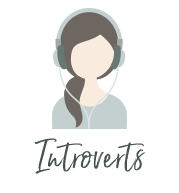 Podcasts – often podcasters turn their episodes into blog posts, so leave a comment &/or check out the blogs of the interviewees. Where do your ideal clients hang out? What other interests do they have that you share? 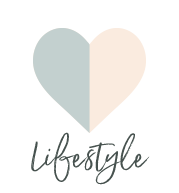 For example, health + wellness is an integral part of my life and business, and it’s an interest (often a niche) that my clients share. For example, I’ll comment on my favorite nutrition blogs, or on posts about mental &/or physical health. Not sure what to say in your comment? Tell the writer what you loved about their post – what stood out for you. What actions you’re thinking of taking from reading their post – how has it impacted you? What are other commenters saying? Imagine it’s a real-life conversation and take part. Do you disagree? Give your opinion, politely of course! Did they miss something? Add it to your comment. There are endless numbers of directories, and, if you’re a locally-based business, then this is a vital action you can take to improve your SEO and get into Google’s “Local Pack”. The key is finding the suitable directories for your business. Event listings, i.e. Evvnt, Eventbrite, Eventful, Lanyrd. Network member directories, e.g. female business owners / parent bloggers, etc. Make a list of your main social media accounts, forums and the sharing platforms you use for your business and pleasure – you may be signed up to more than you think, especially with all the mobile apps available now! While Facebook dominates the social landscape (Statistica), it matters where your ideal clients are hanging out. For example, Pinterest may appear to have a fraction of users, but the numbers are at 175 million engaged users and rising. I value Pinterest highly and use it strategically, because I receive 85% of my social web traffic and 50% of my total traffic from Pinterest! Don’t forget about sharing platforms you’re using, like Bloglovin, StumbleUpon or Blogher; forums or niche business communities – make sure your profile and website link are correct. While you may think this is outside of your control, it’s not! Pro-tip: Read a few of their recent roundups to check your post is suitable for their blog. 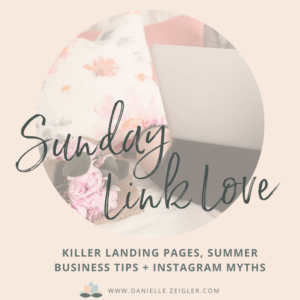 I’m always on the lookout for inspiring content to include in my bi-weekly Sunday Link Love posts. You can also try sourcing potential round-up bloggers by searching “[keyword] roundup”. Infographics are popular and very shareable. Pull together a range of statistics relating to your industry and hire a freelance designer to make it look beautiful. If you don’t already have a graphic designer, ask for recommendations, or browse portfolios on Dribbble, Behance, or look for people who specialize in infographics on Fiverr. If you dabble in design yourself but feel out of your depth with something like this, you can source infographic templates (and more gorgeous stock images) on CreativeMarket*. I’d hope you’re already sharing your posts on your social media… Even if you are, you may not be sharing often enough! Facebook organic reach is notoriously low – they want that ad revenue after all – so it’s okay to share several times a day. Just keep to the 80/20 rule (80% other people’s content 20% yours, across all your accounts). Twitter only gives you 140 characters – not much space at all. Using a URL shortener, like Bitly, helps you fit links in and track them for free! 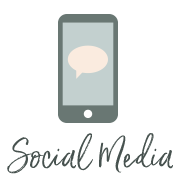 If you use a scheduling app, like Hootsuite or Buffer (my app of choice), you can set up social sharing in advance for multiple accounts. They both have free options, and you can upgrade to include more accounts and team members. That way you’re not spending all your time on social media, getting distracted from your business! 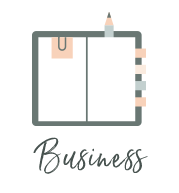 As I mentioned, Pinterest is a powerful tool for my business and I highly recommend you start optimizing your blog and business for Pin-heaven! Sharing picture quotes and tasteful imagery communicates and secures your brand’s aesthetic. Make sure your branded imagery has your web address on (you can miss out the http part). Out of all the options, this one requires the a fair amount of effort! But it’s SO worth it, so stay with me! Guest posting is a fantastic way to get your brand in front of a new audience – one which is FULL of your ideal clients. The trickiest parts, or rather, the more nerve-wracking parts, are reaching out to the blogger you admire and pitching your post to them. Before you contact them, search their blog for “submission” or “guest post” to see if they accept guests. Also, check their contact page. 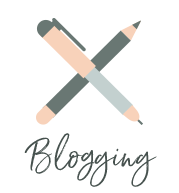 Some bloggers only accept posts once a year from their subscribers (for example), or they don’t accept guest posts at all. If you can’t find anything stating this is the case, then there’s no harm in reaching out. The benefit of checking their site first means that, if they do accept guest posts regularly, you’ll find their submission guidelines. That’ll make life easier for both of you! And you may find you only have to pitch your idea, rather than write the whole post when you first contact them. Those are my 7 top ways to earn backlinks. Want more? *Designates an affiliate link. Please know that I only share affiliates I truly trust and use personally.